BMWs tagline is ‘The Ultimate Driving Experience’. Famous for its trademark handling, innovation, safety and luxury, every part of every BMW is designed with the driver’s experience in mind. Built for the joy of driving, this German-engineered glory does indeed offer the ultimate driving experience. Of course you want the ultimate in servicing for it as well. At Autoactive Car Solutions, we offer exactly that. Our high quality BMW car service, repair and diagnostics service across the entire range of BMWs from our convenient Artarmon location in Sydney’s North Shore will ensure your BMW maintains its high performance status – without the high price. It is said that once you own your first BMW, you will never want to own another brand again, and we can see why. The precision engineering, power, efficiency and reliability of a luxury BMW is second to none. BMW’s innovative engineering is designed to need a minimum of maintenance, which means less scheduled services than ordinary cars. It even monitors its own condition and will let you know when a service is due. Of course this means that once your BMW is due for a service, it’s important to schedule one. It is well-known that if you take care of a BMW, it will take care of you, but neglecting regular maintenance is a sure road to expensive bills further down the track. A brand new BMW will not need much attention, but if you have an older version of this classic marque, it will definitely benefit from more regular services and timely repairs. And certainly if your beloved Bimmer has a rattle or hiccup that doesn’t feel right, make sure you bring it in to sort it out. A quick hook-up to the computer or a small repair can save a major hassle and a lot of money in the long run. When your BMW tells you it’s time for a service at Autoactive Car Solutions, you can be sure that it will be well taken care of. We use the latest diagnostic tools and software to service your BMW, and make sure that we have the most recently updated versions of equipment, technical tools and knowledge required to ensure that we remain leaders in quality BMW care. All BMW car service options, repairs, diagnostics, software updates, and control module coding and programming, plus brakes, suspension, clutch, cooling system, engine/transmission service and overhaul, turbo chargers, wheels and tyres, A/C (air conditioning) service and repairs, direct fuel injection, common-rail diesel injection, SRS (supplemental restraint system),air bag, ABS (anti skid braking system), ESP (electronic stability program), and PDC (park distance control). X5 e70 – transfer case motor defective. Mostly 3 series e90 – washer pumps seize due to mildew and bacteria build up in pump. We are able to perform the necessary, BMW Oil & Safety Service, BMW Inspection I and BMW Inspection II Services, along with any additional BMW service options you require. Of course we can also help make sure your BMW stays in top condition by touching up paintwork, bumps, scratches and small dents. All our oil and log book services for your BMW are set at a fixed price. If further repairs are needed we will give you an itemised quote in priority order so you know the complete cost. We use only genuine BMW and OEM (Original Equipment Manufacturer) parts sourced directly from the importers which give you considerable savings. 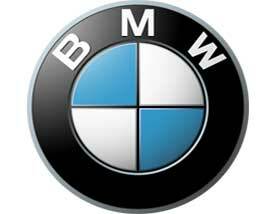 All BMW services and repairs come with a warranty and are fully documented. 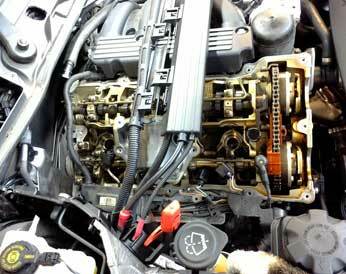 With over 20 years experience of fixing BMWs, we also have a huge amount of technical and engineering know-how that helps us diagnose and fix car problems that are specific to BMWs that many mechanics (and even the dealership) can’t fix, quickly and easily. A luxury BMW is an amazing piece of engineering, and is a joy to work on. Here at Autoactive Car Solutions, we have all the tools to maintain your BMW so that it lives up to its reputation as the Ultimate Driving Experience. 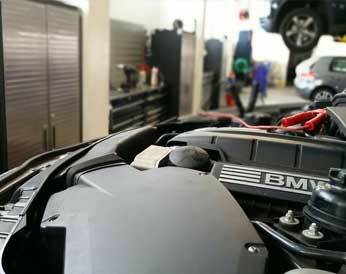 If you need your Bimmer serviced or repaired, don’t go anywhere else. Give us a call on (02) 9436 3804 and let us look after everything for you.